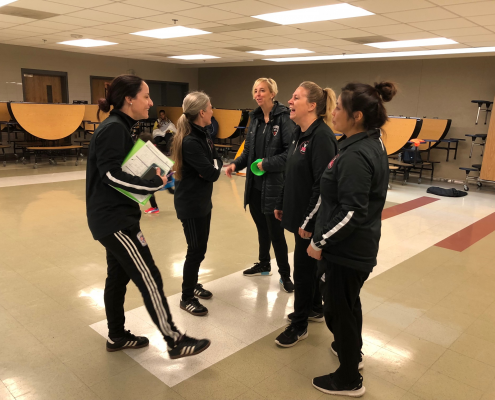 WAGS supports women and girls, 16 years and older, who would like to get certified in coaching. 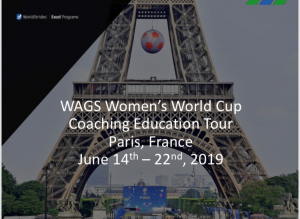 Upcoming: WAGS is very excited to offer a Female Only International Coaching Education Trip to 16 Female Coaches. 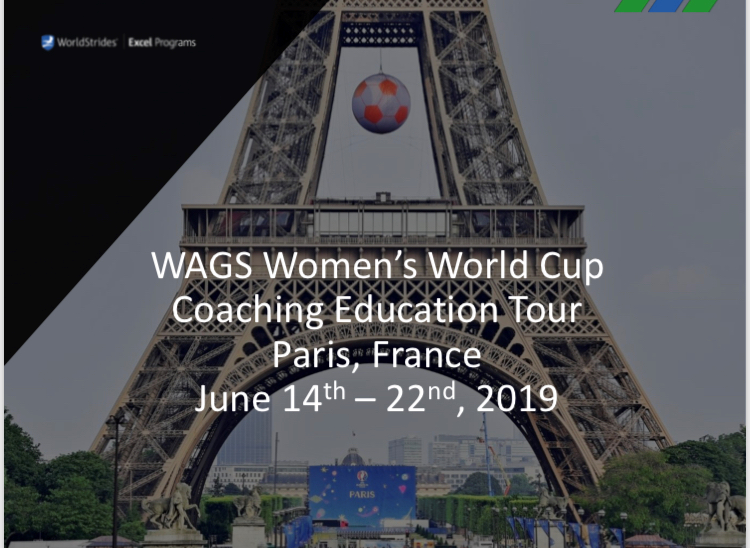 The coaches will embark on a first of its kind, groundbreaking International Coaching Education Trip to France in June, to include three World Cup Matches. 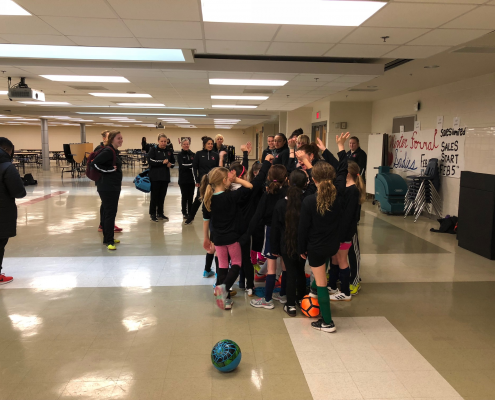 We are proud to partner with WorldStrides for this trip. 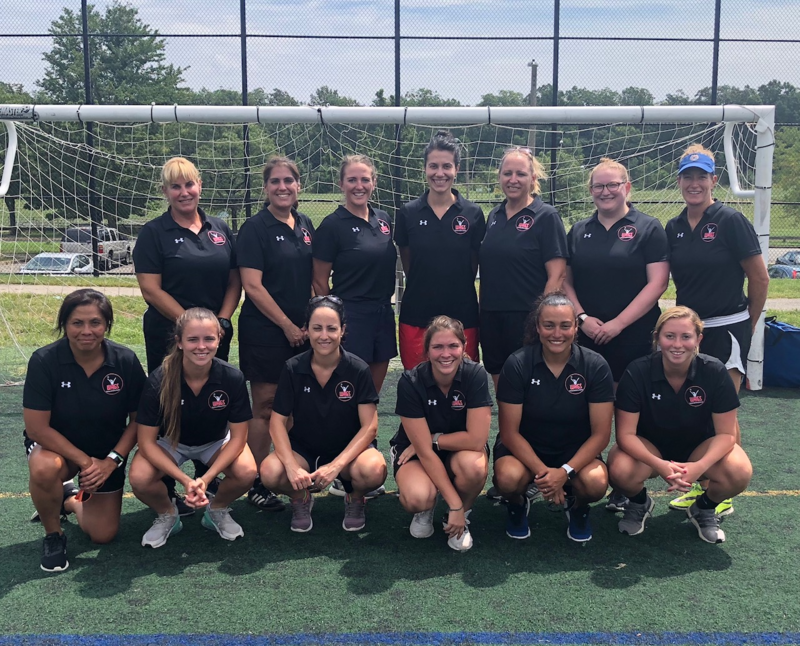 Susan Barr from PA, Karin Victorio From MD, Beth Muzik from FL, Karen Billingslea from VA, Marie Schweitzer From VA, Lula Bauer From VA, Lisa Cole From VA, Nicole Schweitzer from VA, Sue Ryan From NY, Lyndse Hoakansonn From MD, Jane Dawber from VA, Nora Maguire White From VA, Skye Eddy From VA, Corey Holton From NY, Nina Duron From VA, Sue Vodika From TX. 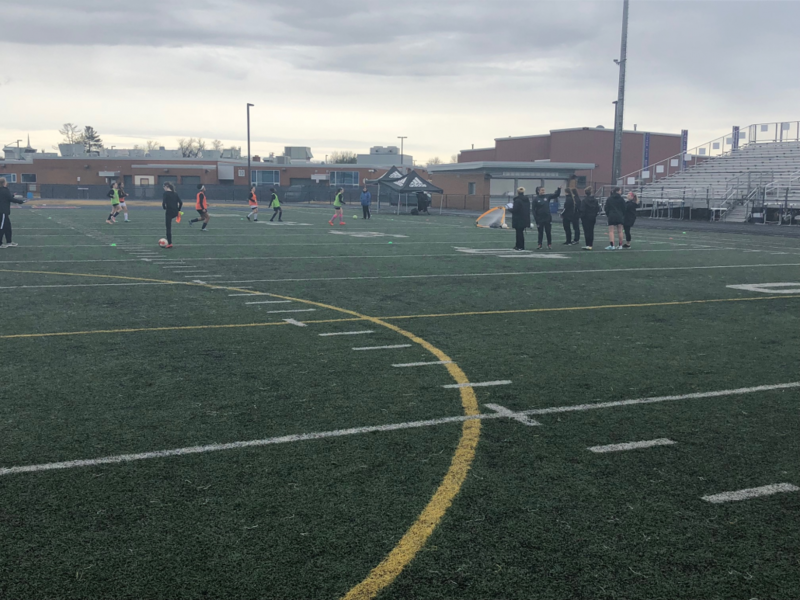 We will share a cumulative Bio Sheet on the coaches soon. 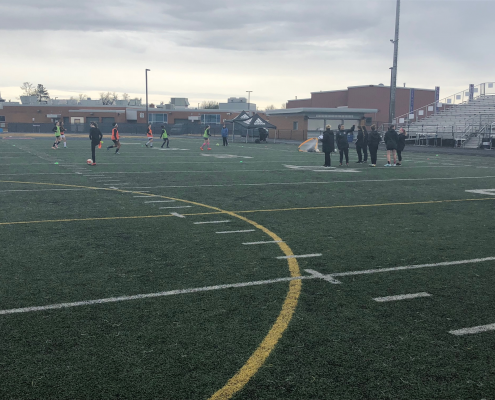 So check back!! 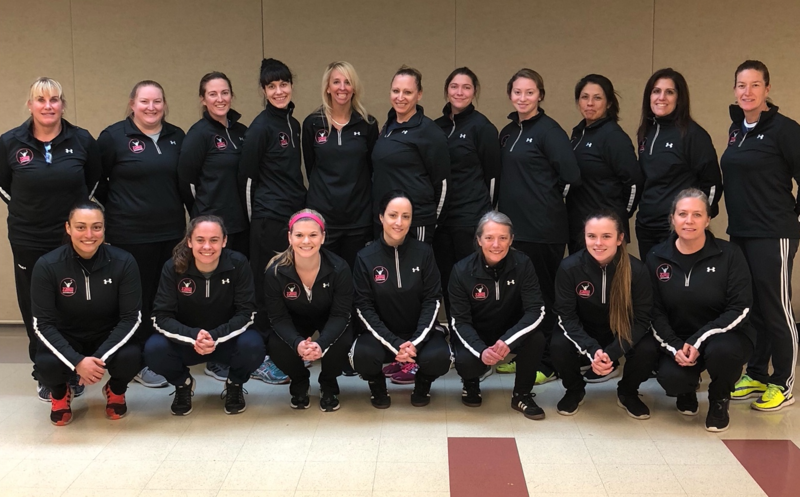 On February 9th-11th, 2018 WAGS hosted the “1st All Female D License Course Weekend” in the United States. 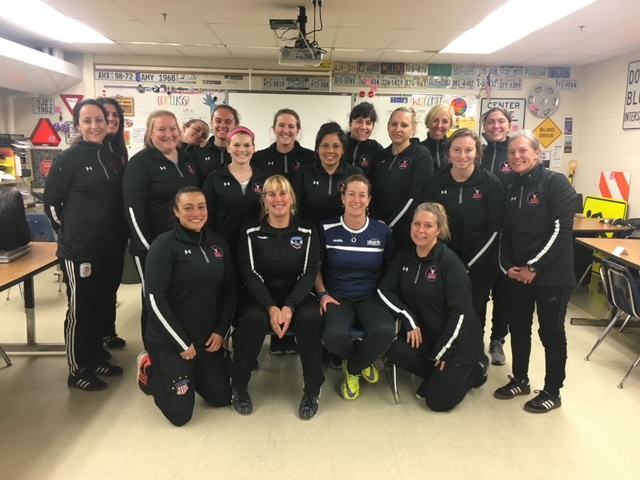 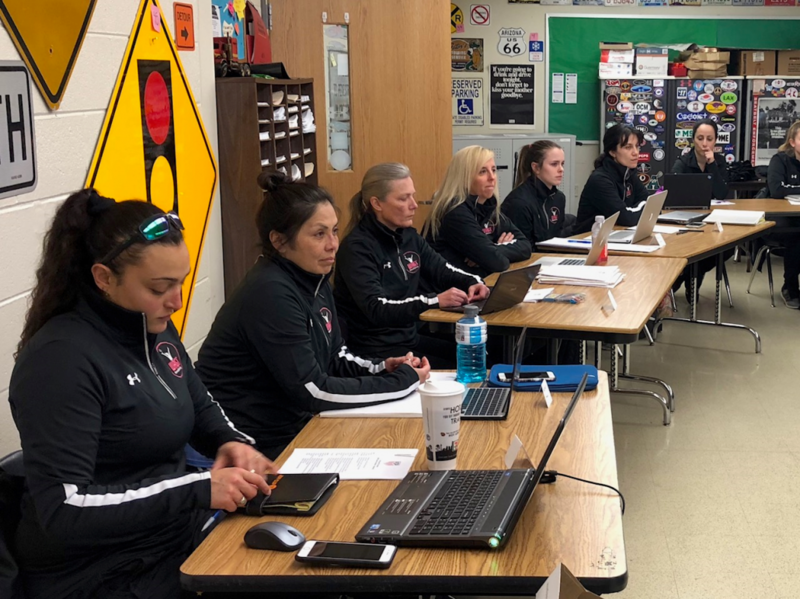 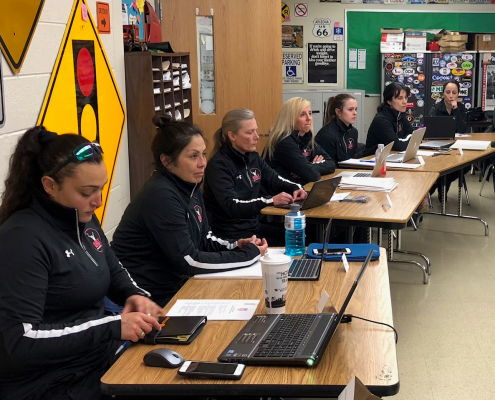 17 women collaborated and learned the new US Soccer D license curriculum led by Instructors Karen Kelser and Nora Maguire-White from VYSA, all sponsored by WAGS. 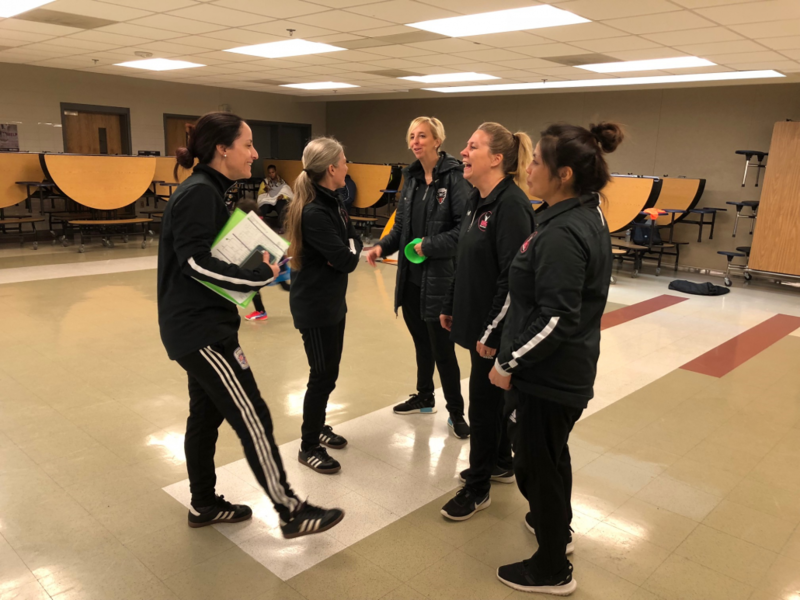 This groundbreaking course was empowering for these coaches and all those that will follow in their footsteps. 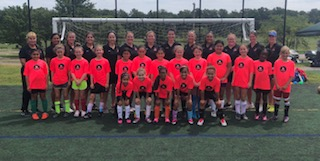 On August 17th-19th, 2018. 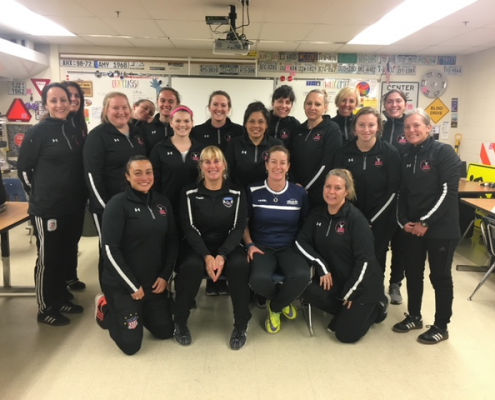 WAGS hosted the Part 2 of the “1st All Female D License Course”. 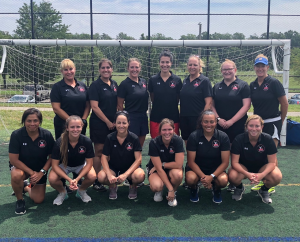 We had 11 of our group return to finish their process towards full D License, with Karen and Nora as our instructors. 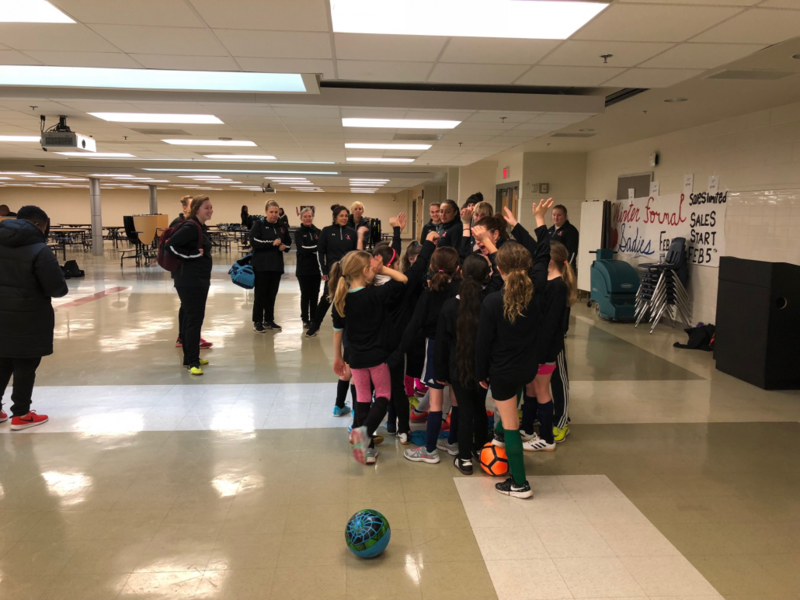 The candidate’s who were not able to be with us were invited to join Nora Maguire-White in December.